Last week’s brawl involved Golden Toad Habanero going head to head with Hellfire Blueberry Hell. As predicted, it was a fierce battle with many loyal fans on both sides. Ultimately, Blueberry Hell came out on top. What about today’s match-up? 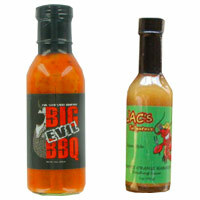 The big bad Evil Seed Big Evil BBQ faces off against Louisiana-born JAC’s Tailgaters Pineapple Orange Habanero Finishing Sauce. 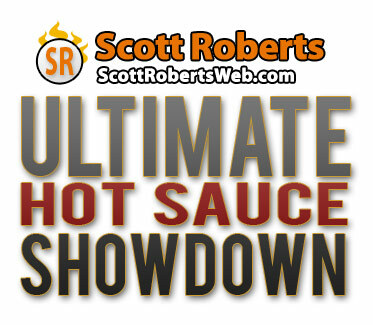 Like numerous other sauces in this contest, these are VERY different products.